The community and participatory arts worker François Matarasso just published a new book entitled 'A Restless Art. How participation won, and why it matters'. 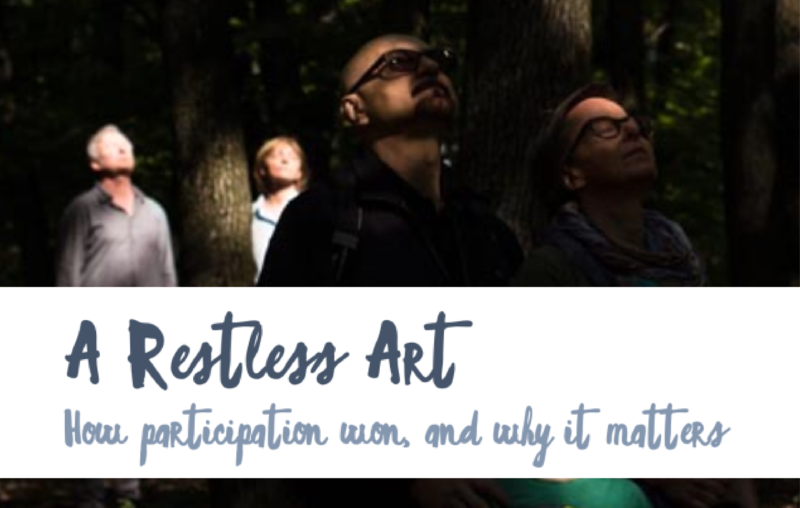 A Restless Art is about community and participatory art. It's about what those practices are, how people think about them, why they're done and what happens as a result. It's called 'A Restless Art' because this work is unstable, changing and contested. It involves a range of ideas and practices. It crackles with artistic, political, ethical and philosophical tensions that give participatory art life, energy and creativity. They are what make it matter in people's lives. The book is freely available online. More info about the author here.